Chianti is a DOCG designated wine ("denominazione di origine controllata e garantita" - controlled and guaranteed designation of origin). 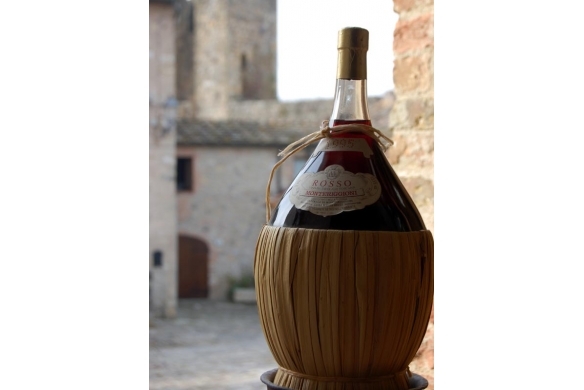 For a large part of the world's population Chianti is the best expression of Italian wine, transported in its typical wicker flask. But perhaps what everyone does not know is that this year Chianti will celebrate its 300th year! Much has happened since September 24, 1716 when Grand Duke Cosimo III de Medici passed the proclamation "Over the declaration of the boundaries of the four regions Chianti, Pomino, Carmignano, and Vald'Arno di Sopra" in order to define certain particularly prized territories which were well known for the wine they produced. 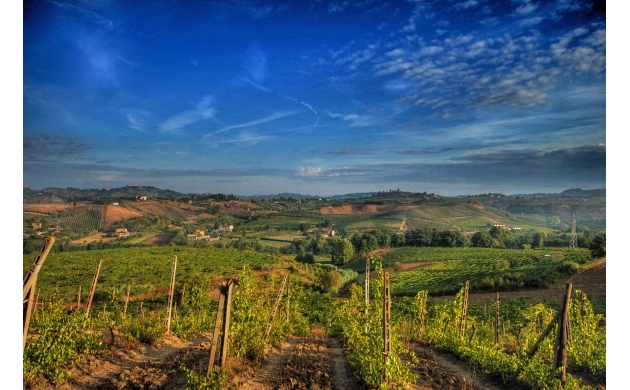 For the first time in history a territory, Chianti, became "the first territory of wine". For this reason, on the three hundred year anniversary of Chianti wine, there has been a request to declare this territory a part of UNESCO's world heritage. 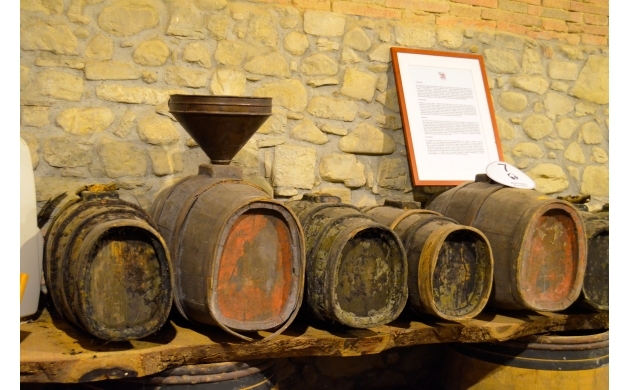 All Chianti wines are made primarily from San Giovese grapes, but there are many different types of Chianti. Today we will present two principle varieties: Chianti and Chianti Classico. Chianti wine comes from the territory of Tuscany, specifically from the provinces of Florence, Siena, Arezzo, Pisa, and Pistoia. This is a wide area within which is found the 'colli fiorentini' - the Florentine hills. If it was Grand Duke Cosimo II who fixed the boundaries of the territory, then it was Count Bettino Ricasoli who set the principles regarding the proper grape varietals as well as the methods of cultivation and vinification. One must wait at least two years from the day of bottling in order to fully taste the flavor of this wine. It's best paired with meat, even better if it's a bistecca fiorentina - the classic Florentine steak. Different from normal Chianti, the Chianti Classico is limited to certain communities in the province of Florence and Siena (Castellina in Chianti, Radda in Chianti, Gaiole in Chianti, Greve in Chianti, San Casciano in Val di Pesa, Barberino Val d'Elsa, Tavarnelle Val di Pesa, Castelnouvo Berardenga, Poggibonsi). More refined and elegant in comparison to Chianti, it is necessary to wait at least 5 years from bottling before tasting a Chianti Classico. Chianti Classico can be recognized by the appearance of its brand mark: the Gallo Nero (Black Rooster). The mark that has always distinguished bottles of Chianti Classico is the emblematic Black Rooster, historic symbol of the ancient Military League of Chianti, reproduced among other places in Giorgio Vasari's painting on the ceiling of the Salone dei Cinquecento in Florence's Palazzo Vecchio. The historiography of this symbol includes a legend set in the medieval period. This story in practice signaled the definition of the internal political boundaries of the Chianti territory, because it was actually the behavior of a rooster that decided its destiny. Legend says that in the medieval period, when the Republics of Florence and Siena battled bitterly to prevail one over the other, the Chianti region (right in the middle between the two cities) was an object of near-continuous disputes. In order to end these disputes and stabilize a fixed and definitive border, a strange and unique method was adopted. It was arranged that two horses would leave from their respective home cities and then fix the border at the point where the two horses met. The departure was meant to be at dawn and the start signal was to be the crowing of a rooster. The latter decision was taken in line with the exigencies of the time, back when daily rhythms were still punctuated by natural mechanisms. In preparing for the event it was thus more important the choice of rooster, rather than the choice of horse or rider. The Sienese chose a white rooster, while the Florentines opted for a black one - which was kept in a small, dark coop and then starved for multiple days in order to induce a state of complete exasperation. That fateful day of the race, before it was even taken from its coop, the black rooster began to crow loudly even though the dawn was still far off. His crowing allowed the Florentine rider to get a rather good head-start on his Sienese counterpart, who had to wait for the first light of day when his rooster, crowing at the normal time, allowed him to leave. But given the notable delay he had incurred with respect to his opponent, the Sienese rider was only able to go twelve kilometers on his own before he met the other rider at Fonterutoli. For this reason, almost all of the territory of Chianti passed to the Republic of Florence, well before the fall of Siena itself.